The desire to read the Bible is a powerful motivation for learning to read and write. At the same time, the desire that others might be equipped to read the Bible is a powerful motivation for Bible translators and others to develop literacy programs that empower people with new skills. Take English as an example. Just 70 years before William Shakespeare put pen to paper, there was no viable written English language. Scholars and academics at universities and professions in business and law spoke Latin, the universal language of the day throughout England and Europe. The king and nobility spoke Norman French. English peasants, a marginalized people group of that time, who spoke a throw away language, English were seen as beyond reach of the Gospel. The first English translation of the Bible was done in the 14th century by John Wycliffe. William Tyndale took English translation to a whole new level by doing an excellent translation of the Bible creating modern English. Translating from Hebrew and Greek, his translation was accurate and at times poetic and memorable. Caught, tried and sentenced to death, his dying wish as he was burned at the stake was “Lord! Open the King of England’s eyes.” The following year King Henry VIII allowed English Bibles to be distributed in England. Then, in 1539, Henry VIII allowed publication of “the Great Bible,” which included Tyndale’s translation. Even more amazing is that in a period of 100 years reading and writing English among males in England went from about 5 percent of the population to 25% eventually reaching 40% of the population. By 1770, shopkeepers were 95% literate. Literacy in England is directly attributable to the Bible. What Wycliffe and Tyndale did for literacy through Bible translation has been ‘systematized’ by Wycliffe Bible Translators and our partner organization like SIL International. A number of years ago in Peru, children and adults were taught to read first in their mother tongue and then gradually transitioned into reading Spanish. Sometimes called “bilingual education,” the program was highly successful preparing students to read their newly translated Bibles and also to benefit from the country’s educational system (that was in Spanish). Now labeled “multilingual education,” or sometimes “mother tongue first” or “first language education,” the approach continues to work. Longitudinal studies show that children who are first taught to read and write in their mother tongue bridge more easily into education in a national language. They stay in school longer and are more successful in their studies. Mofu is a language spoken in Northern Cameroon. The New Testament is available in Mofu, and so is a program of multilingual education. A recent report showed that schools using this mother-tongue-first approach had a passing rate of 99 percent on the end-of-primary-school exams. Schools not using the mother tongue as the means of teaching the early grades had a maximum of 49 percent passing. 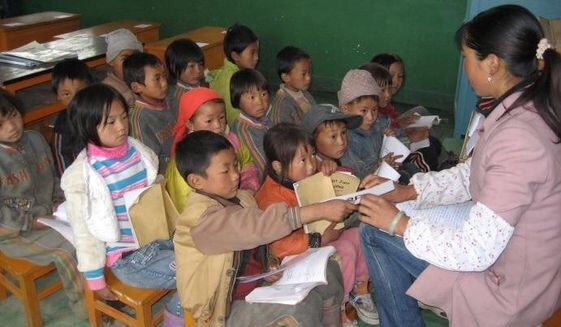 When I’ve visited schools in places like Cameroon, the Philippines, and China using this approach, I’ve observed that students in classes using their mother tongue were clearly more involved in the learning process than were their peers being taught in French, English, or Mandarin. In the traditional classes, students sat in rows and learned—or memorized—the lessons on the chalkboard. But in the non-traditional, mother-tongue-first classes, the students were animated, actively interacting with their teacher. Most language communities today exist in the context of other languages, and over time, more and more governments have changed their language policies to include a multilingual approach to education. For a large number of language communities, the first step out of poverty—the foundational step—is gaining a written form for their language. When linguist/translators come alongside mother tongue speakers to help them develop their languages, their first project is often working together to create an alphabet that fits the sound structure of the language. Once there is an alphabet, there can be books and literacy—first in the mother tongue and then in a language of wider communication. 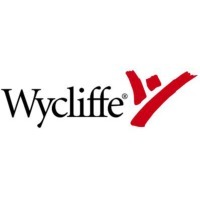 Wycliffe’s vision is for every man, woman, and child to hear the Good News in the language and form they understand best, and literacy programs are at the center of our work as Bible translators. And because of our commitment to serve the whole person, we are delighted that Bible translation and the accompanying development of alphabets, books and literacy worldwide is often the starting point for solutions to some of the world’s most pressing humanitarian issues. Published in the Washington Times.